We originally set out to film this as a test video for our new 7D set-up and as a test for a character we've been developing. We liked the results... so here's the new Teaser trailer for our upcoming original short film, "Henry". A trailer for the craziest stoner comedy that's never been made! 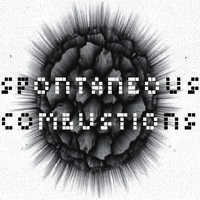 Spontaneous Combustions co-produced this trailer with Ben Larsen Films over the Summer of 2011. This action packed short represents the final compilation from the original Spontaneous Combustions crew. Conceived, filmed, edited, and uploaded in a day, we had a ton of fun making it, even if we missed a few things here and there! A musical short inspired by the tune "Armageddon" by dubstep producer Bukkha. Another short from the earlier incarnation of Spontaneous Combustions.